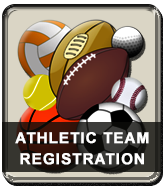 Students registering for athletics must have a current physical examination on file in the athletic department before the student is authorized to participate in practice/tryouts. To ensure clearance for participation, physicals should be completed and turned in to the Athletic Director no later than 5 school days prior to the first day of practice/tryouts. ​A Physical examination is valid for one school year; a Physcial Examination must be completed on or after April 15 to be valid for participation the following school year.